You decide to make a Zombie. You follow the recipe, blend it, drink it. You decide to make another. But now you can’t remember the recipe. (Zombies tend to have that effect on people, even practiced Tiki drinkers like you.) What to do? Easy. Just drink your first Zombie out of a Beachbum Berry Zombie glass from Cocktail Kingdom. When you’re ready for your next round, look at your glass — the recipe’s on it. 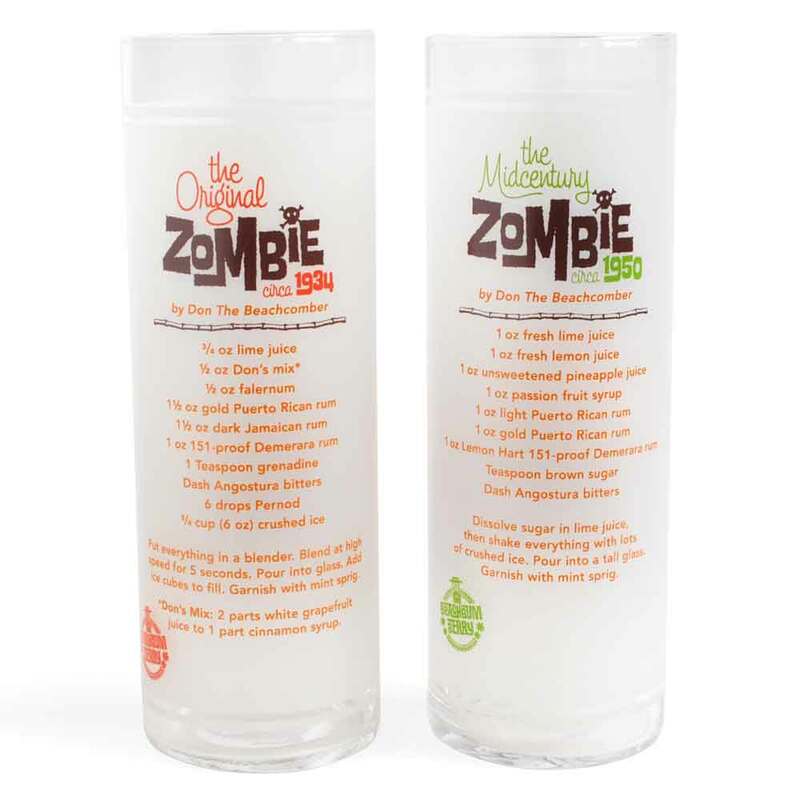 Now you can Zombify all night long without ever having to worry about forgetting the formula! 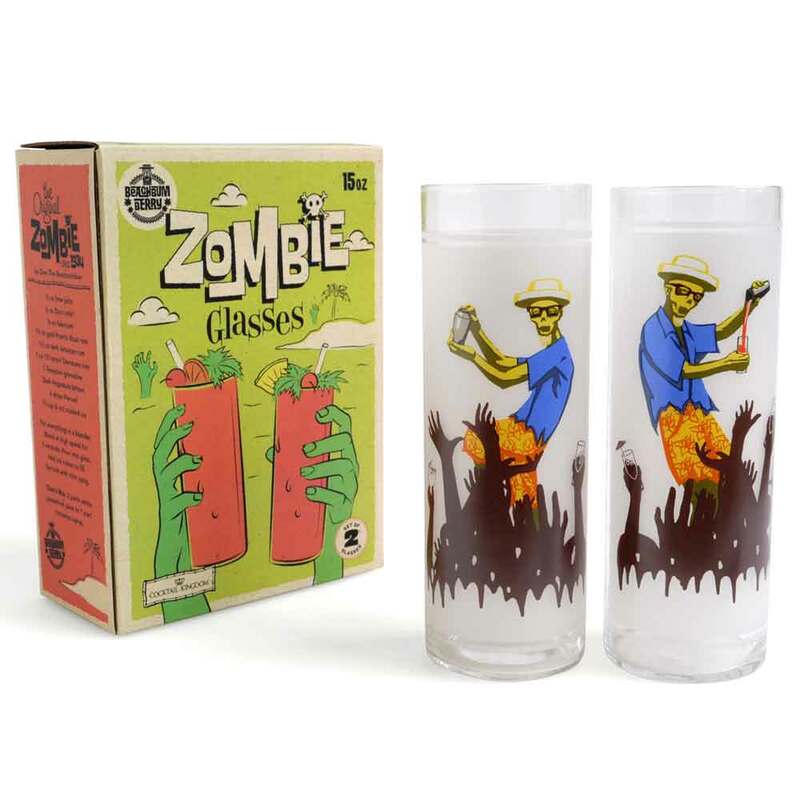 This deluxe boxed Zombie glass set contains two glasses, one with the original 1934 recipe and one with the 1950 variation — the two best versions out there — as well as different full-color custom Zombie illustrations for each glass. At a height of 6.9” and a 2.4” diameter, Cocktail Kingdom has specifically patterned these glasses after the classic “Zombie shell” glass that Polynesian restaurants and bars used during Tiki’s golden age.